Instrumental and acapella are included, that's why I bought it even at 2000 yens ! B side is average. A modern day hip-hop anthem that managed the difficult task of pleasing the b-boys and being a club classic. Once that horns sampled from Godzilla came in, you knew there was going to be mayhem on the dancefloor. Sadly this track suffered from over-kill, it was too easy for a DJ to get a reaction from this tune, so for years you would hear it everywhere you went! 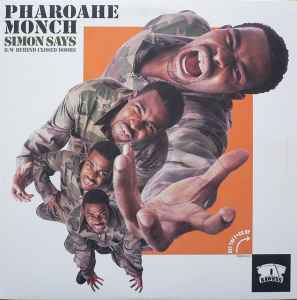 No-one ever gives credit to Pharoahe Monch for also producing the track himself, he built his reputation as an MC but he also outdid a lot of established beatmakers by making one of the most recognised hip-hop beats of all time!